I recently began doing yoga. I will admit I was terrified to go to my first class. I always envisioned yoga to be just a room of nimble, size 0, lululemon wearing blondes who can do headstands while drinking starbucks. Let me tell you, while I wasn’t far off (they’re not all blonde), I did love it. Prior to beginning my Monday morning yoga class. Now while I am by no means a size 0 or nimble in any sense of the word, I found the class to be a great workout that just about any level of fitness can do! You can adjust the poses to fit your strengths and weaknesses really easily and my instructor was extremely helpful when it came time to do poses I had never heard of. These are great poses for beginners if you want to test out the waters before heading to a class! There are also tons of youtube videos you can watch in order to familiarize yourself with the poses – or even get a workout in at home. For me it is not only about getting a good workout (without having to run) but also about the mental peace of mind that comes from a class. Every class ends with a couple of moments just focusing on your breath and releasing the tension in your muscles. I come out of class truly happy – feeling like a whole new person. 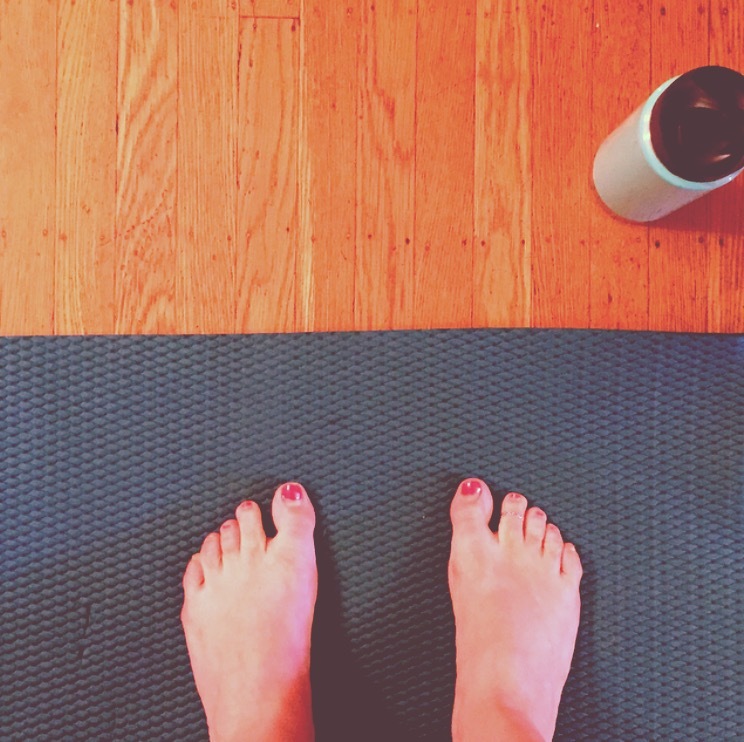 If you have been hesitant about getting yourself to a yoga class – GO FOR IT! I am extremely glad I did.